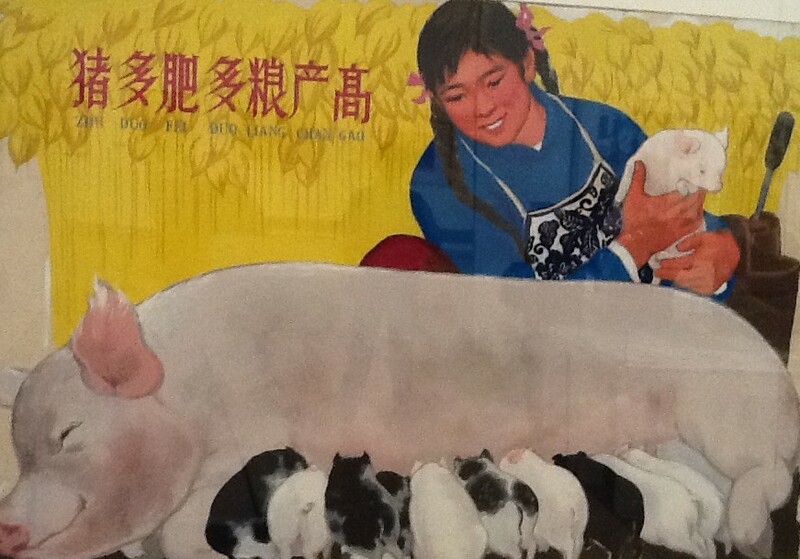 Seen at the China National Art Museum in an exhibit of propaganda art. I’m told this sign exhorts people to work hard. Not sure of the message, but this poster, like many uses ethnic folk art. At least that’s what I think she’s doing.